Earlier this month Logitech announced plans to sell many of its products under the new "Logi" brand name, and as of today, the company is debuting its first line of products that carry the Logi label, a lineup of iPad cases. Logitech is introducing three Logi products for the iPad, all of which come in bright colors and offer drop protection for Apple's tablet: the Logi BLOK Protective Shell, the Logi BLOK Protective Case, and the Logi BLOK Protective Keyboard Case. "The iPad is a powerful device. But people have dropped and damaged - or are afraid that they will drop and damage - the iPad, so they typically don't use it to its full potential," said Michele Hermann, vice president of mobility at Logitech. "Until now, protecting your iPad from drops meant covering it with a bulky case that took away from the beauty and mobility of the iPad. Our designers worked with material experts to protect the most sensitive parts of the iPad without adding the bulk you associate with ultra-protective cases. With the Logi BLOK family of cases you no longer have to choose between protecting your iPad and having a beautiful case that allows you to enjoy all the functionality it has to offer." 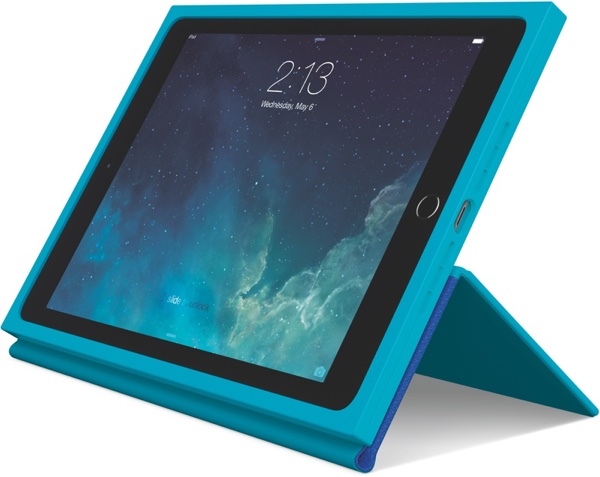 The Logi BLOK Protective Shell is designed for the iPad Air 2 and all models of the iPad mini. It's a protective rear shell that's sold alongside a screen protector to keep the iPad's display safe from scratches. Like all BLOK products, it's made from a flexible polymer with squared edges, explaining the "BLOK" name. According to Logitech, the BLOK cases flex with the iPad upon impact, helping the tablet withstand drops from up to six feet high onto surfaces as hard as concrete. The BLOK Protective Shell will retail for $39.99 and will be available in black, red/violet, and teal/blue. Logitech's BLOK Protective Case offers the same drop protection of the Shell but includes a cover/stand that lets the iPad to be positioned in any angle for tasks like typing and watching videos. 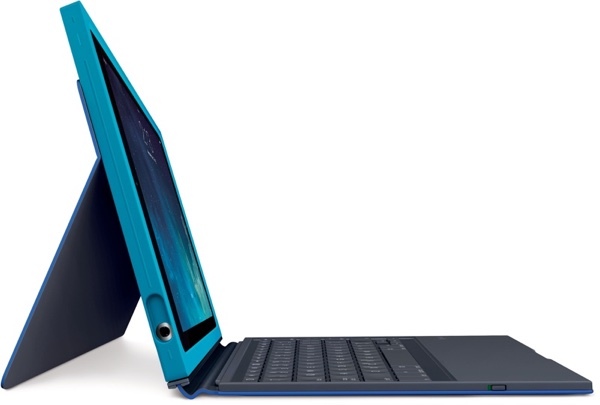 It has a 50-degree range and when closed, protects the iPad's display from impact. It'll retail for $69.99 and it comes in black, red/violet, and teal/blue. The third and final product, the BLOK Protective Keyboard Case for the iPad Air 2, includes many of the features of the BLOK Protective Case but adds a wireless, detachable keyboard that also serves as a screen cover. It's the most versatile case of the bunch, able to be used as a shell when reading, with a stand for hands-free viewing, and with the keyboard for typing. 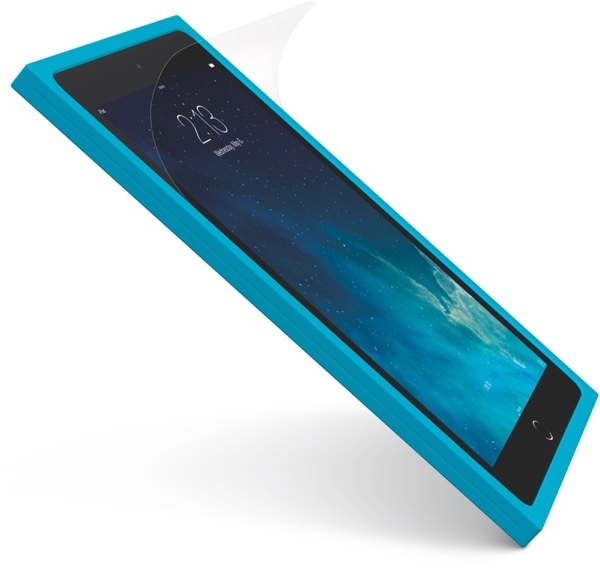 The BLOK Protective Keyboard Case is available in black and teal/blue and will retail for $129.99. All three of Logitech's new Logi brand BLOK cases will be available for purchase in the U.S., Australia, New Zealand, and select countries in Europe beginning in August of 2015. I thought absolutely the same, except I do know why ;). This is similar to the Typo keyboard case I just bought for my ipad air 2. The whole reason I wanted one like this or the Typo is that I liked the keyboard on the surface pro 3 and being able to magnetically attach and remove it. Although spendy, the Typo has been an awesome keyboard case and I'm glad I bought it. I'll have to check this one out though because it looks very similar to the initial idea I was going for, but I don't think it'll make me regret my purchase as the Typo is probably the nicest accessory I have ever bought for my Apple products. I hope this has less BT issues than my ultrathin for my iPad air2. I'm still not 100% sure if it's the keyboard or iOS as I'm on the second keyboard. Since 8.4 it's gotten better but it's not perfect, disconnects when you're trying to type in a meeting is not good.. The Apple Surface, like the surface pro, but magical, and just works! Agree, which makes me not like it. That case actually looks pretty nice. I love how companies areoving towards brighter and funner colors for everything.